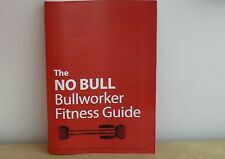 THE ULTIMATE BULLWORKER TRAINING GUIDE, HOME or GYM use. NOW IN ITS 6TH AND BEST EVER EDITION. THE ONLY BULLWORKER TRAINING MATERIAL YOU WILL EVER NEED! I wrote it because there's nothing else like it out there! MUCH, MUCH MORE THAN 'JUST' THE BULLWORKER EXERCISES! 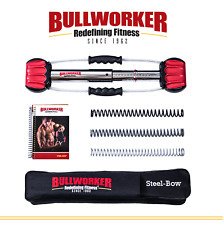 At Bullworker we have been Redefining Fitness Since 1962 with over 10 Million Units Sold! Start building Strength, Flexibility and Endurance with convenience! Perfect for Yoga, Pilates, Golf, Weightlifting or any of your exercise needs. At Bullworker we have been Redefining Fitness Since 1962 with over 10 Million Units Sold Worldwide! We design all of our products around convenient fitness for any lifestyle. With no set up required, you are ready for your workout right out of the box.